Little Pink Dresser | Straight Line Designs Inc.
You might be familiar with our Little Black Dresser, so here’s the newest version designed for a great cause: The Little Pink Dresser. Judson is always looking for a great cause to be a part of. 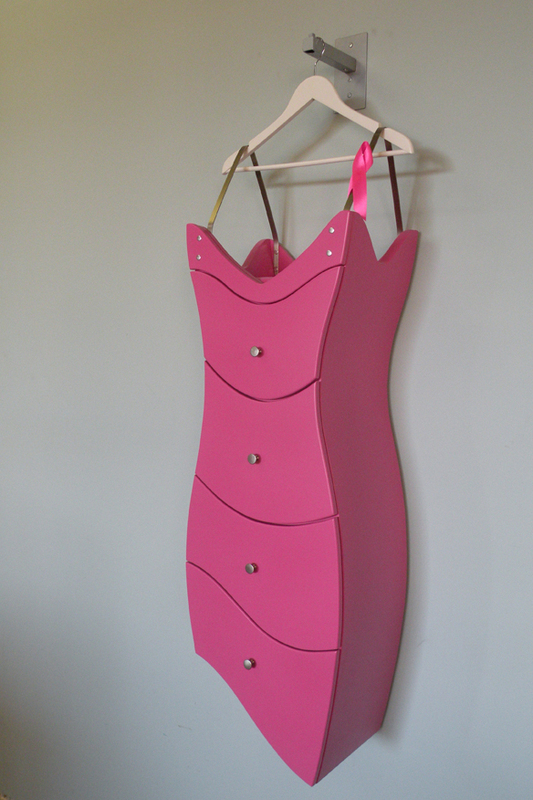 This year he decided to do a Little Pink Dresser as a donation piece for the Luxe Home Interiors Chair-Ity event with proceeds going to the Canadian Breast Cancer Foundation-BC/Yukon Region. The Dresser was showcased at the 2012 IDS West Show in Vancouver before making the trip to Victoria for this special event. This entry was posted in chair, Charity Auction, Donation, Feature, IDS West and tagged Auction, Breast Cancer, Donation, Little Black Dresser, Luxe Home Interior, Pink, Victoria. Bookmark the permalink. This is AMAZING!!!!! I have to share this on my FB page!!! Us papercrafting girls would die for this as storage!!!!! Just checking in from a friend on FB..he sent me here!! send us an email at sldesigns@telus.net and I’ll answer all your questions on how to order!